The post-proceedings of PAP 2017 the First International Workshop on Personal Analytics and Privacy Held in Conjunction with ECML PKDD 2017, Skopje, Macedonia, September 18, 2017 (LNCS 10708) is now available online. You can find information about it here or access the online version here. The purpose of PAP is to encourage principled research that will lead to the advancement of personal data analytics, personal services development, privacy, data protection and privacy risk assessment. The workshop will seek top-quality submissions addressing important issues related to personal analytics, personal data mining and privacy in the context where real individual data (spatio-temporal data, call details records, tweets, mobility data, transactional data, social networking data, etc.) are used for developing a data-driven service, for realizing a social study aimed at understanding nowadays society, and for publication purposes. Papers can present research results in any of the themes of interest for the workshop as well as application experiences, tools and promising preliminary ideas. However, papers dealing with synergistic approaches that integrate privacy requirements and protection in the personal data analytics approach are especially welcome. Abstracts need to be registered by Monday, June 26, 2017 and full submissions will be accepted until Monday, July 3, 2017. 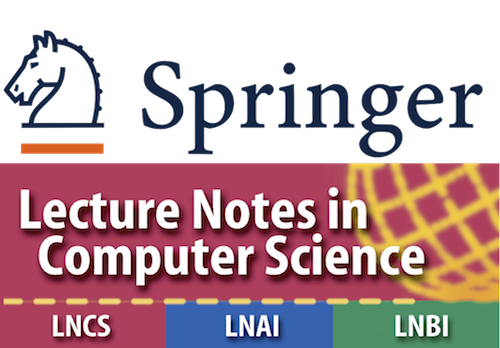 Papers must be written in English and formatted according to the Springer Lecture Notes in Computer Science (LNCS) guidelines following the style of the main conference (format). The maximum length of either regular (research or position) papers is 12 pages in this format, and it is 6 pages for short (research or position) papers. Overlength papers will be rejected without review (papers with smaller page margins and font sizes than specified in the author instructions and set in the style files will also be treated as overlength). Authors who submit their work to PAP2017 commit themselves to present their paper at the workshop in case of acceptance. PAP2017 considers the author list submitted with the paper as final. No additions or deletions to this list may be made after paper submission, either during the review period, or in case of acceptance, at the final camera ready stage. Condition for inclusion in the post-proceedings is that at least one of the co-authors has presented the paper at the workshop. Pre-proceedings will be available online before the workshop. A special issue of a relevant international journal with extended versions of selected papers is under consideration. 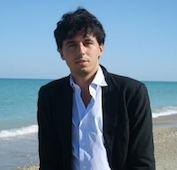 All accepted papers will be published as post-proceedings in LNCSI and included in the series name Lecture Notes in Computer Science. All papers for PAP2017 must be submitted by using the on-line submission system via: EasyChair.